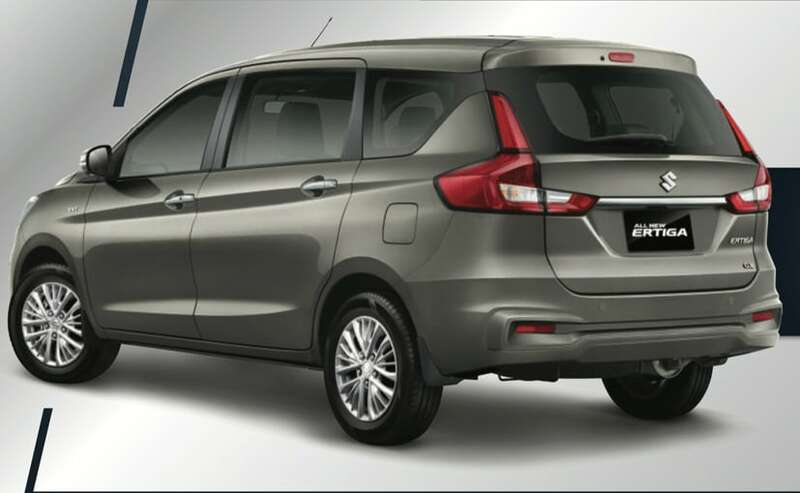 The new-gen Suzuki Ertiga MPV comes with updated design and styling, new features, and an extra load of premiumness. The India-bound model is expected to retain most these features. It's been less than a week since Suzuki Indonesia pulled the wraps off the new-generation Ertiga MPV and the car has already started to create a huge buzz. In line with the carmaker latest philosophy, the 2018 Suzuki Ertiga comes with extensively updated design and styling, new features, and an extra load of premiumness. Now, Suzuki Indonesia has released the first official video for the new Ertiga MPV, listing out the host of new exterior and interior features that make the MPV a much better package.The India-bound model is expected to retain most these features. To kick-off things, the video point of the updated dimension of the new Suzuki Ertiga, which now makes it longer at 4,395 mm, wider at 1,735 mm, and taller at 1,690 mm. The wheelbase, however, remains unchanged at 2,740 mm while the ground clearance has been reduced to 180 mm, giving the MPV a much bigger and planted stance. Talking about the updated exterior, the video details out features like the new stylish-looking projector headlamps that are flanked by a new, larger chrome grille with grid-like inserts, and a new sculpted front bumper that comes with angular lines, round foglamps, and black C-shaped inserts. The MPV also gets a new bonnet with sharp lines the complete the new face of the Ertiga. 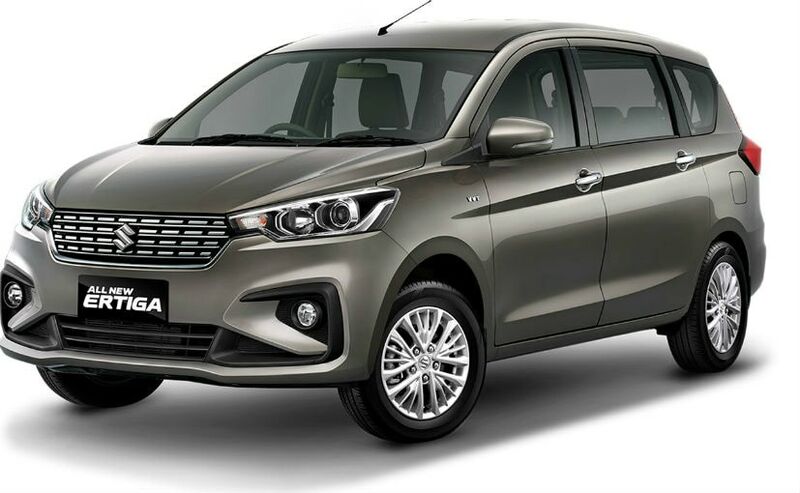 As for the sides, the new Ertiga looks much nicer with the new waistline going upwards along with subtle character lines. The MPV comes with a pair of new electrically operable ORVMs with integrated turn signal lights, nicer-looking alloy wheels, and chrome handles. The biggest visual change, however, is the new rear section that comes with all-new Volvo-like LED taillamps design, high-mounted LED stop lamp, a new, sculpted tailgate and a new rear bumper featuring integrated two-point parking sensors. 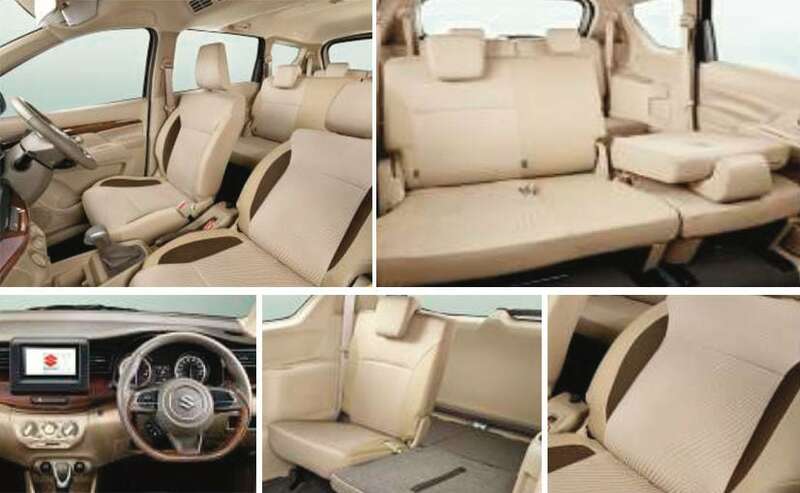 The new Ertiga continues to the offered as 7-seater MPV with foldable rear seats for increased luggage space. The cabin takes a lot of inspiration from the new Dzire and comes with beige interior with brown wooden ornaments for the dashboard and door panels. The MPV also gets a new leather-wrapped flat-bottom steering wheel and a new instrument cluster with MID. The centre stage on the dashboard is taken by a large 6.8 touchscreen infotainment system and horizontal aircon vents. The car also gets features like keyless entry, start-stop button, ventilated cup/can holder, USB charging ports, ISOFIX child seat mounts, and multiple storage compartments among others. The new Suzuki Ertiga is built on the company lighter and rigid, Heartect platform and comes with stronger body construction. The MPV also comes with Electronic Stability Programme (EPS), ABS with EBD, dual front airbags, and more. The Indonesia-spec Suzuki Ertiga is powered by a new 1.5-litre K15B, DOHC, VVT petrol engine that churns out a max power of 104 bhp and peak torque of 138 Nm, coupled to a 5-speed manual transmission and a 4-speed torque converter automatic gearbox. India will most likely get the same engine, an upgrade from the 1.4-litre engine that is currently on offered along with the 1.3-litre diesel engine.